experience with the ROI Brain® Software. In order to get started, please fill out the form below. Please fill out the form below to get your account set up. Then continue onto the course! Click here to download the slides in PDF form. Click here to read the whitepaper. Please allow about 30 minutes to complete this section. Please allow 30 minutes for the video and an additional 30 minutes to complete the exercises. Please allow about 15 minutes to complete this section. 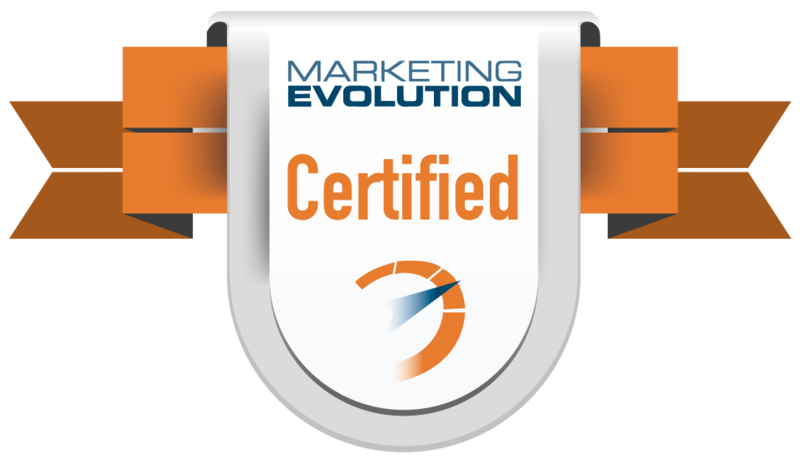 Click Here to complete the Quiz and become officially Marketing Evolution Certified! Click here to download the instructions for this section. If you would like additional training, please click here to sign up for the Advanced Certification Course. Invite others to View Certification Materials by using the buttons below.